(1776 CHANNEL) – A U.S. citizen who on Christmas Day 2009 witnessed an accomplice helping ‘Underwear Bomber’ Umar Farouk Abdulmutallab board a Northwest Airlines flight in Amsterdam without a passport and hours later witnessed the failed attack inside the plane’s cabin speculates that intelligence operatives working for the United States and/or Israel coordinated the terrorist attack on Charlie Hebdo in Paris by pretending to be terror camp trainers. CNN is reporting that a “local witness” in Yemen told one of the network’s reporters that Said Kouachi, the older of two French brothers alleged by authorities to have been the Paris gunmen, briefly shared a school-provided apartment in Yemen with Abdulmatallab, possibly in 2009. Retired attorney Kurt Richard Haskell conjectured on the Paris attacks on Sunday during an interview from Costa Rica with 1776 Channel, which can neither confirm nor readily dismiss his theories. Haskell ran for U.S. Congress in 2012 as a Democrat in Michigan’s 7th District where he received 43% of the vote in a loss against Congressman Tim Walberg (R-MI). Three years earlier, Haskell and his wife Lori, also an attorney, were returning from a safari vacation. Seated on the floor of a crowded boarding lounge in Amsterdam Airport Schiphol, Kurt Haskell claims to have witnessed a well-dressed man with an American accent who he surmised was possibly of Indian descent speaking to a gate agent on behalf of Abdulmutallab. Haskell maintains that the FBI became increasingly disinterested in his account of the man he saw assisting Abdulmutallab, and that none of the airport surveillance images he was shown captured the man. Haskell also claims that another passenger aboard the plane recorded the failed terror attack with a video camera. Haskell theorizes that the man in the airport worked for U.S. intelligence, and that Abdulmutallab was intentionally provided with a faulty bomb in an operation designed to scare the U.S. public into accepting a renewal of the U.S. Patriot Act and body scanners at U.S. airports. 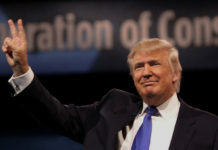 “The Detroit Christmas bomber was deliberately and intentionally allowed to keep his US entry visa as the result of a national security override issued by an as yet unknown US intelligence or law enforcement agency with the goal of blocking the State Department’s planned revocation of that visa” reported Webster Tarpley. Allegations that the U.S. government protected and shepherded Abdulmutallab’s journey to become a failed terrorist emerged during House Homeland Security Committee hearings on January 27, 2010. Key testimony was provided by U.S. State Department Undersecretary of State for Management Patrick F. Kennedy. The key figure in the journeys of a parade of terrorists who have benefited from the largess, accommodation, and national security stand downs of the U.S. government has been New Mexico born terrorist handler Anwar al-Awlaki. Awlaki was allegedly killed alongside his U.S. citizen teenage son during a drone strike in Yemen, almost ten years after accepting an invitation to a luncheon at the Pentagon. Anwar al-Awlaki has been linked to the ‘Underwear Bomber’, alleged Paris gunman Said Kouachi, and the Pentagon. U.S. Army Lt. Colonel Anthony Shaffer (RET) says Awlawki was also an FBI asset. Awlaki has been connected to the Fort Hood shooter, the Underwear Bomber, the Times Square Bomber, and now one of the Paris gunmen. Retired intelligence officer U.S. Army Lieutenant Colonel Anthony Shaffer was the key figure in revelations that roadblocks at the Defense Intelligence Agency (DIA)’s Able Danger unit as it tracked Mohammed Atta allowed the planning of the 9/11 attacks to continue unmolested. Shaffer alleges that Awlaki was a former FBI asset and a triple agent before September 11, 2001. 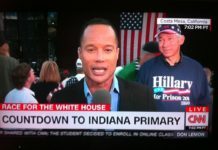 Shaffer made those claims during an appearance on the Alex Jones Show in 2012. All of this background story about Awlaki, 9/11 and the Underwear Bomber leads up to the latest chapter in the history of 21st century terrorism: The Paris attack on the offices of Charlie Hebdo magazine. 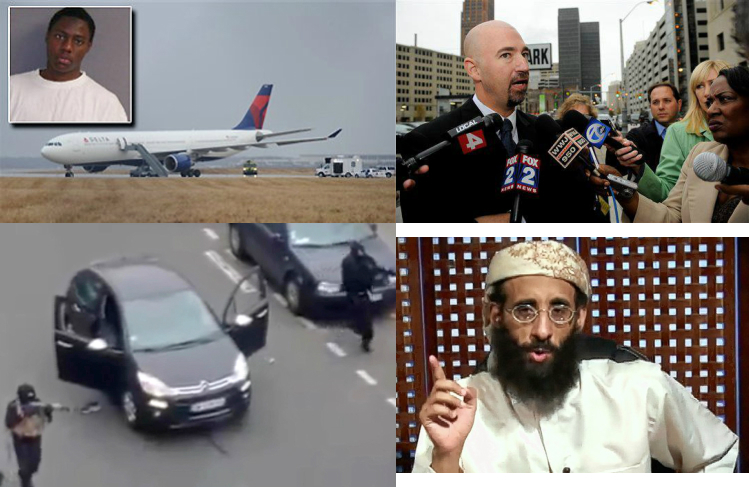 If one of the alleged Paris gunmen is connected to Anwar al-Awlaki, a U.S. citizen who Shaffer alleges was an FBI asset and triple agent, and who was connected to ‘Underwear Bomber’ Abdulmutallab (allowed to board the Christmas Day flight without a passport and whose U.S. visa was purposely not revoked due to a “national security override”), what does that tell us about who might be behind the Paris attacks? Kurt Haskell has his own theories. Israel’s Mossad intelligence agency and/or the CIA “are taking stupid uneducated Muslims” into terror training camps” where there are trained and protected until they are called to duty by the latest Alawki-type character said Haskel Tuesday on the Alex Jones show. “What evidence do you have that points specifically to Israel?” asked the 1776 Channel on Sunday. While 1776 Channel has not seen any evidence that Israel’s Mossad was involved in the Paris attacks, the American Alawki’s connections to the U.S. government are established. Alawki’s connection to the Paris attacks leaves only one degree of separation. While it remains unclear if state actors were involved in the Paris attacks, Haskell points out several anomalies that deserve further investigation. The dropped I.D card in Paris has echoes of the Mohammad Atta passport conveniently found laying about the ruins of the World Trade Center. A YouTube video of a news program in French with English subtitles added suggests that a Charlie Hebdo employee who survived the attack said that one of the gunmen had “beautiful blue eyes”. 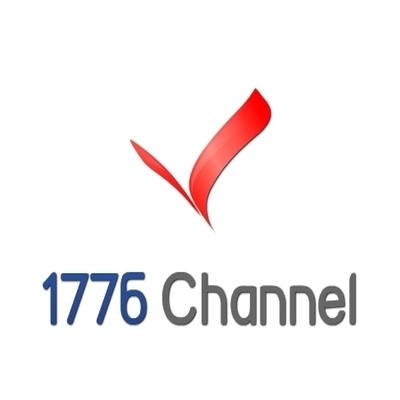 1776 Channel is unable to verify the information, but has provided a link to the video allowing the reader to draw their own conclusions. In Haskell’s opinion, U.S. and Israeli intelligence operatives are essentially operating a school for naïve Muslim terrorists and deceptively deploying them for limited-scale terrorist attacks in pursuit of larger geopolitical objectives. The exact truth about the Paris attack as well as other modern terror attacks remains a mystery. Declassification of the cold war era Operation Gladio, during which NATO-controlled terrorists carried out false flag attacks inside Europe to blame communist elements, leaves ample room for speculation and concern. Next articleBFP Exclusive: A Nuclear Tinderbox in Ukraine?